Why is there such an interest in die varieties? For one, coins are manufactured to standards that demand near perfection and uniformity. The ability to achieve this aim is less successful the further one looks back in time. Finding an interesting design flaw in the midst of a morass of mass produced metal is exciting. Also, behind each one these die flaws lies a story and stories sell coins. 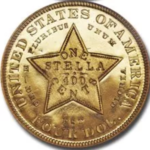 A variation of the normal design that makes a specific example stand out from normal struck coins. Since the die variety is on the die, the flaw is reproducible on every coin struck from that pair of dies. 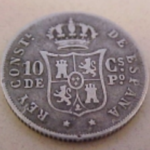 This is much different than mechanical errors which are unique, and the result of defects in the process of striking a coin. The term “VAM” refers to the pioneering work by Leroy Van Allen and A. George Mallis, The Comprehensive Catalogue and Encyclopedia of U.S. Morgan Peace Silver Dollars (out of print as of this writing). 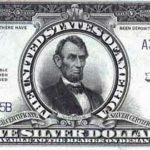 This acronym is a combination of the authors’ names, and VAM numbers are catalog numbers that are assigned to die varieties of Silver Dollars. Other guides cover die varieties of other U.S. denominations such as the Cherry Pickers’ Guide books written by Bill Fivaz and J. T. Stanton. 1891-CC Morgan Dollar “Spitting Eagle” VAM 3- A gouge in the die forms a lump just before the Eagle’s beak on the reverse. Really kind of common but the date is really expensive. This variety in MS65 can bring $1,800. 1884-O/O Morgan Dollar VAM 6 – I like this one. 1884-O is a common date Morgan, that means that you get to see a great number of them, but this variety is worth finding since it makes a common date a rarity. MS65 examples are about 2-2.5 times the value of the vanilla variety. 1921 Morgan “Infrequent Reeding” or also known as “Wide Reeding” VAM 4. 1921 Morgans are ubiquitous so you can examine a large number of examples. Normal Morgans have 177 to 194 reeds, this variety has only 157 reeds. A trick to identifying this variety is that it is always paired with a doubled “n” in the motto “In God We Trust”. 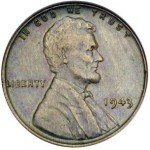 1943-S Washington Quarter – Doubled Die Obverse. 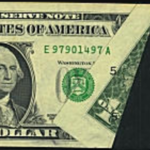 If you like Washington’s this a neat variety, and it can be found sometimes in large lots of circulated bullion related quarters. An EF quarter worth about $2.50 as bullion becomes a $200+ item when you locate this variety. Gems exist, and turn a $45 item into something approaching $2,000. 1966 SMS Kennedy Half Dollar, Double Die Obverse – Here is a coin that often shows up as singles at bourses. The coin shows strong doubling on Kennedy’s profile as well as on the eye, hair, IN GOD WE TRUST, and the designer’s initials. SMS 63-65 grades can run 10 times the value of the normal variety. Varieties have become big time but it still is a great frontier. New varieties are discovered all the time, and known, rare ones, are often being scooped up by the knowing, from dealer’s showcases in stores and at shows. Grade isn’t always the top issue here. A rare variety can bring a sizable return even if in a high circulated grade. The grading services have increased interest, by offering a service that for an additional fee will confirm or attribute varieties and list them on the holder. This has fanned the flames and collectors have responded. There are hundreds of varieties out there to find. Use the books mentioned here to gain some knowledge that will lead to finding your own variety treasures. Happy hunting!